Aim: To bang out some timed laps on First Turkey’s Finest. 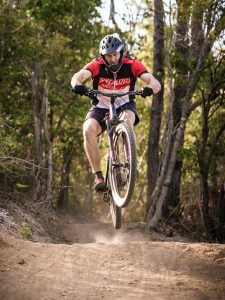 Host: Rockhampton Mountain Bike Club Inc. Skill Level: This event requires a moderate to high level of MTB riding skill. Protective Equipment: In addition to a mandatory requirement to wear an Australian Standard full face helmet for competitive stages in this event, it is recommended that riders wear additional protection such as knee and elbow guards, gloves and protective eye wear. Helmets must be worn on transition stages also but you can switch to open face helmets in these non competitive sections. First Aid Requirements: A trained paramedic will be in attendance and first aid kits on site, but it is also recommended that riders carry a triangular and compression bandage. Race Start Time: 7.30am at start of first competitive stage (TBA) , First Turkey MTB Park. Riders will need to have obtained their race number and left the sign-on area (car park) by about 7.00am. 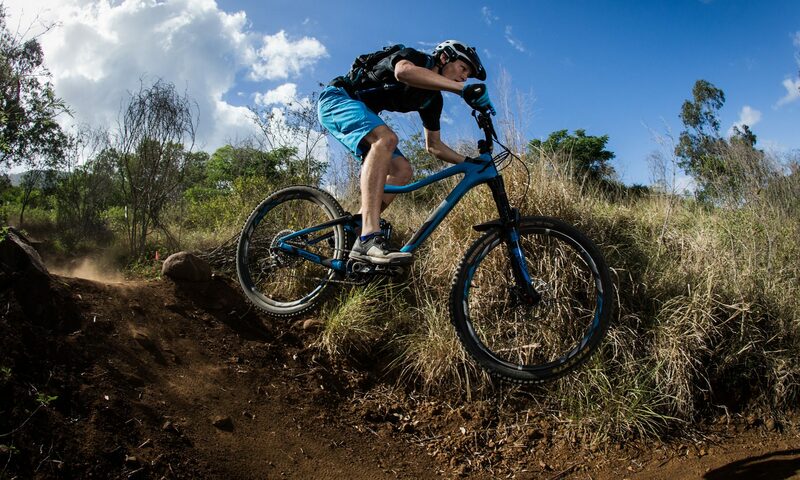 Event Description: The 2017 Giant Rockhampton Enduro Series Rd 3 is a gravity enduro style competition which requires completion of a defined circuit starting and finishing at the German Street car park end of First Turkey MTB Reserve on Sunday Morning. The course will include 3 to 5 (depending on class) timed competitive stages (all of them mostly downhill in bias), over which collective times will determine the placing of riders in the event. Sections of the course between the competition segments will have a loosely timed cut off to maintain a regular cycle of competitors and help maintain the start order. Riders will start each competition section at 30 second intervals, or as otherwise instructed by the starter. Classes: Elite Men, Sport Men, Open Ladies, Masters, Novice, Juniors (aged 11 to 15). Course: To be announced closer to the date and during the riders briefing. Course subject to change at the Event Directors discretion. Duration: The event is likely to finish around 11am on Sunday morning, but total time will be dependent on rider numbers. The weather is likely to be hot so please bring plenty of water and snacks! Online Entry Cost: $25 Seniors, $10 Juniors. Online entries only – on the day not available. Close of Online Entries: 8.00pm Saturday 14th October 2017. MTBA competition licence required or Day Licence available for additional $25 (purchase online during your entry) for non MTBA members ages 19+, $15 for non members <19 years; $15 for a MTBA recreation member upgrade. Awards and Series Points: There will be podium place presentations following the 2017 Giant Rockhampton Enduro Series Rd 3. Any prizes will be randomly drawn and subject to sponsorship uptake. This is the final round of a three round GE series. Rocky MTB club members working a round are eligible for average series points. All three rounds count in this years series (i.e no dropping your worst round as in previous years GE series).